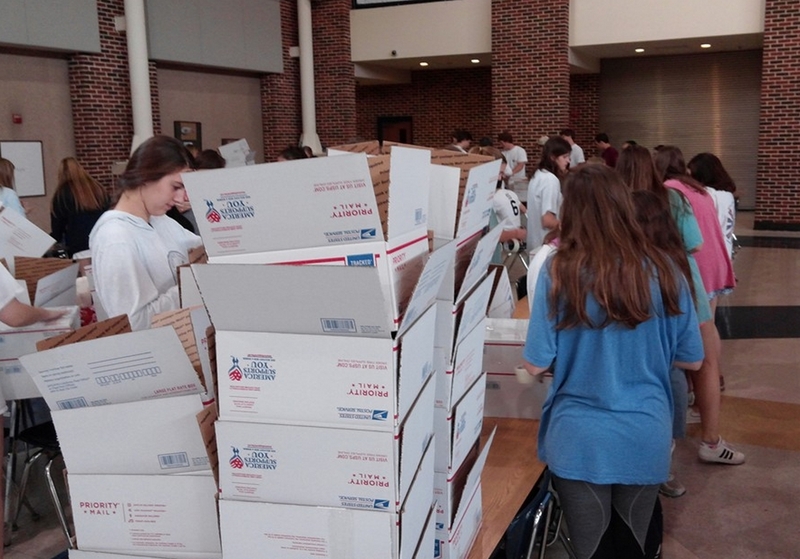 Care Packages for Soldiers: Highland Park High School National Honor Society Packed Care Packages for the Troops. Highland Park High School National Honor Society Packed Care Packages for the Troops. 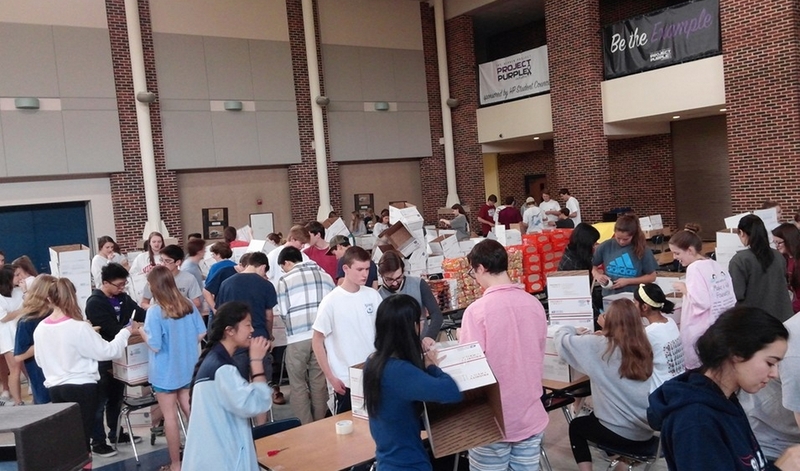 Students from Highland Park High School National Honor Society not only collected the items, they then packed and shipped the care packages to four U.S. Military troops stationed overseas. On Saturday morning, April 16th, the students, plus a few volunteers from The Airborne Angel Cadets of Texas, gathered in the school’s cafeteria where they packed about 235 boxes with the items they had collected. 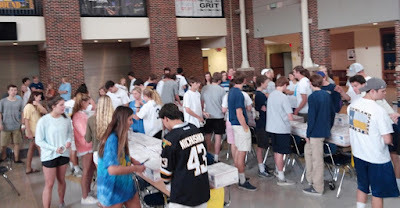 The boxes included food and toiletries plus personal thank you notes to the troops that were written by the students. The soldiers are sure to appreciate the time and effort these students dedicated to gather the items and send the packages. It will let them know they haven't been forgotten by the people here at home! Getting the boxes ready to be filled with items for the troops. Packing the boxes with items collected by the Highland Park High School National Honor Society .